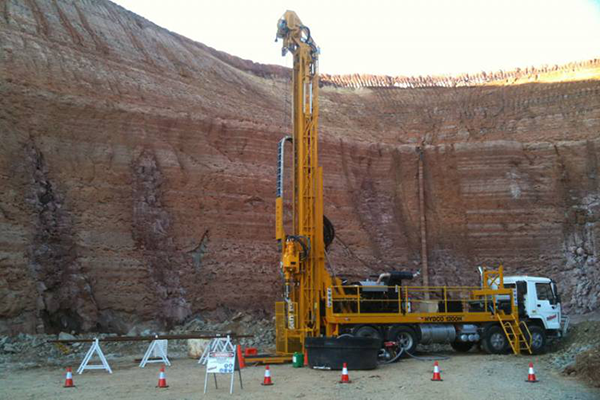 Diamond drilling is one of the methods for drilling the most accurate geological formations currently in terms of obtaining information, with different applications in the mining industry, civil construction, scientific research, etc. Having the ability to provide semi-undisturbed geological samples, it has become one of the most efficient survey systems for visual inspection, analysis and studies of rock massifs. Its name comes from the denomination "Diamond Drilling" that refers to the system of perforation with the use of diamonds. It is art, as it requires the deployment of personal skills and abilities to develop the construction of a drilling well and recover the nuclei or witnesses, in the largest possible percentage. As a specialized activity or profession, it requires the reading and interpretation of a series of indicators. Some indicators are provided by the instruments of the team and other indicators such as sound and visual, can only be recognized and interpreted correctly over a certain period of direct experience in operations. This experience over the years contributes to the development of certain skills in the drillers. Being immersed, in the daily effort, to provide solutions to operational problems, some of which are not in the manuals of use or do not form part of the general or usual recommendations. Some of these ingenious solutions are captured by manufacturers, thus producing the development of certain aspects of technology. Consequently, this knowledge is acquired and transmitted, mainly through direct experience, between generations. It is science, in as much it includes varied and multidisciplinary knowledge, in which the manufacture and development of the equipment such as the diamond drilling equipment, instruments, tools and technologies are sustained that make possible the modern techniques of perforation. On these depend the results of the drilling operations, which are susceptible to monitoring, measurement, observation, experimentation, prediction, testing and development. The principle of diamond drilling is based on the fact that any pulling or traction action produces friction and this in turn leads to wear, erosion, trepanation or tearing of surfaces of the elements in contact. In the case of diamond drilling, we are talking about a tubular drilling, with the use of diamond products, where the drill string transmits the kinetic energy produced by the diamond drilling equipment, in the rotation unit (be it mechanical or hydraulic) towards the crown of the bit that comes into contact with the floors or rock formations, producing a circular traction that we can measure as revolutions per minute (RPM) and the penetration rate obtained as ROP. This kinetic energy, rotation on one side and pushing pressure on the other, are the combined forces that generate the abrasion of the soils or rock formations, which finally produce the cylindrical cavity of the formations, called well or hole of perforation. These two actions can be measured as revolutions per inch of advance (RPP). On the other hand, in the internal radius of the bit, there is an area that does not come into contact with the front diameter of the bit and whose cylindrical formation, by action of the erosion of the crown, becomes the core or witness of the formations, objects of drilling or study.